David Horrigan is Relativity’s Discovery Counsel and Legal Education Director. An attorney, law school guest lecturer, e-discovery industry analyst, and award-winning journalist, David oversees the legal content produced at Relativity, speaks at legal and industry events, and authors articles on the intersection of law and technology, including frequent contributions to The Relativity Blog. Before joining Relativity, David served for four years as analyst and counsel at 451 Research, where his focus was e-discovery, information governance, and international data privacy. He served also as counsel at the Entertainment Software Association, where his practice focused on technology law and intellectual property, and as reporter and assistant editor at The National Law Journal and contributing editor at Law Technology News (now Legaltech News) where he co-founded the long-runningTechnology on Trial column. David is a frequent law school guest lecturer, legal technology writer, and conference speaker. 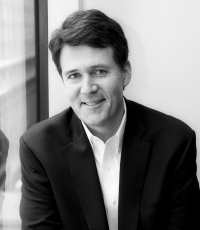 In addition to the NLJ and LTN, David’s articles have appeared in The American Lawyer, Corporate Counsel, The New York Law Journal, Texas Lawyer, The Washington Examiner, and others, and he has been quoted by The Wall Street Journal, American Public Media’s Marketplace, and publications of the law schools of Yale, Northwestern, Emory, and others. David serves on the Data Law Board of Advisors at Yeshiva University’s Cardozo school of Law and on the Editorial Advisory Board of Legaltech News. He is licensed to practice law in the District of Columbia, and he lives on an island north of Boston with his wife, his kids, his Bernese Mountain Dog, and his dreams of a return to glory for the University of Florida Gators. What the Judges Are Seeing — and What the Judges Want to See!